Forkiddo: Toys, furniture and home accessories for kids room. Smart and beautiful products for children and parents. The idea of cardboard furniture is nothing new. It's quite old actually. First cardboard furniture appeared in 1920s amongst the works of the designer Gerrit Rietveld. However they had to wait another 60 years to become popular. Since then, they are subject of experiments and source of inspiration for the designers from all over the world. 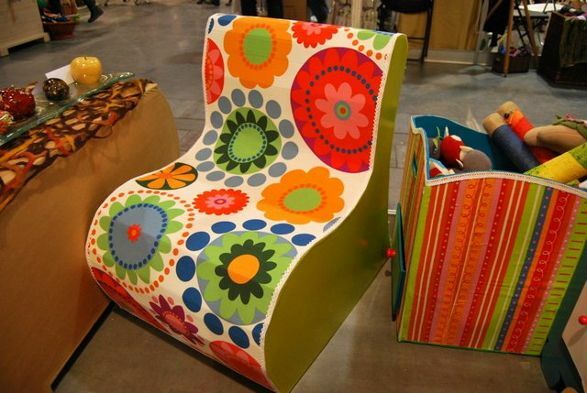 One of the companies which offer the variety of hand made cardboard furniture is Kartooni. They use the special constructional technique for production, which resemble building a house. A basic construction made of strong corrugated board is covered with a layer of another durable cardboard. Thanks to the construction all reinforcements are invisible and the furnishing remain very light yet sturdy. The raw piece of furniture can be painted, embellished and polished at discretion. For the first sight it's hard to recognize the ready made product as a cardboard made (unless you choose a version of natural cardboard, of course). more then at the beginning. What could help? The common sense, self confidence and keeping distance. And realization that apart form the baby, the parents needs and comfort are very important as well ... and it is worth to take care of them. Today I would like to write some words about Timoore “First” collection as it offers great furniture solutions not only for newborn and babies to whom it is addressed, but also for their PARENTS.